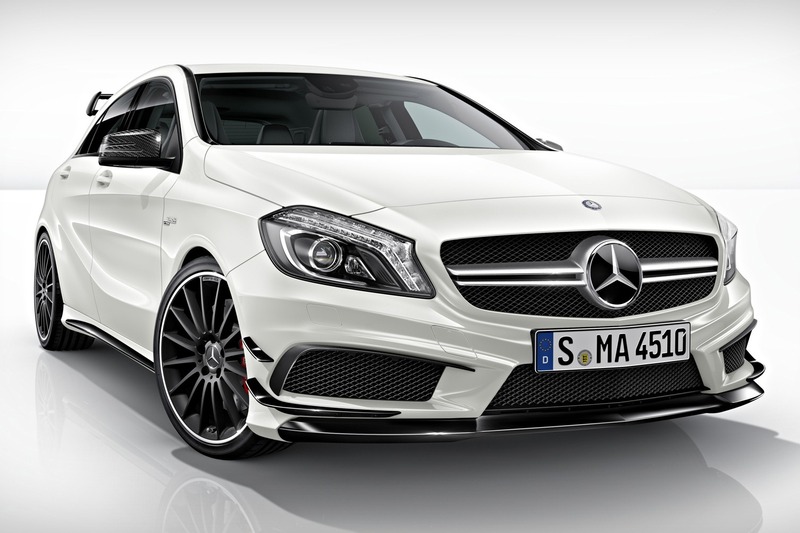 Mercedes released details and photos on the A45 AMG Edition 1, a special model based on the AMG-tuned A-Class. 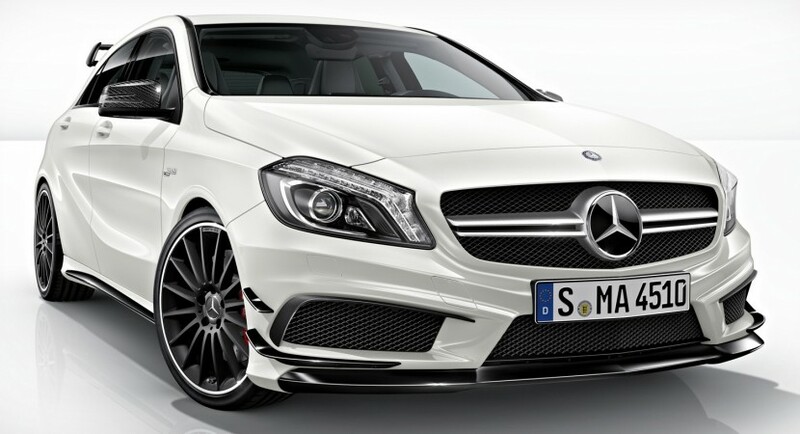 With the new package bringing only styling tweaks, the model is powered by the same 2.0-liter twin-scroll engine offering 355 horsepower and 450Nm of torque, enough for the Mercedes A45 AMG to sprint from 0 to 100 km/h in 4,6 seconds. 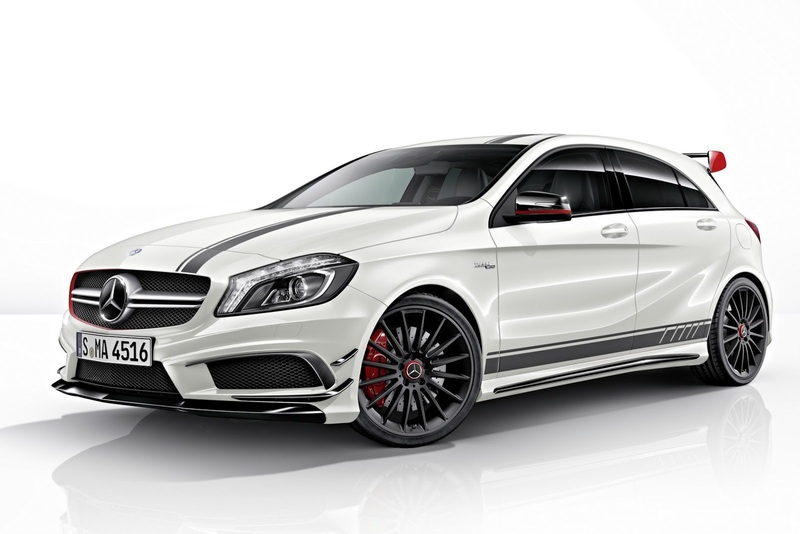 At the exterior, the German hatchback receives a special Cirrus White finish with grey racing stripes and red accents. 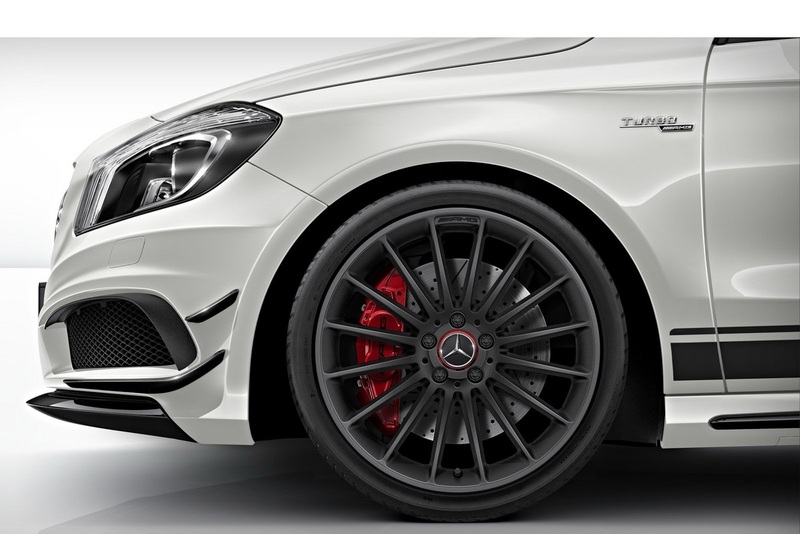 New front apron, rear wing and splitter are also offered by Mercedes while a new set of 19-inch with 235/35 R19 tires and red accents improves the appearance as well. Inside, customers will find AMG Performance seats wrapped in leather and microfiber, a revised dashboard, steering wheel and Select lever. All of them receive leather inserts while several “Edition 1” badges will be found all over the cabin. More information including pricing and availability will be released next month at the Geneva Motor Show.